In Mid-September, the MBTA is beginning a 30 month long track and signal replacement project along the entire length of the Green Line D Branch across the City of Newton. In order to replace portions of old track and signals, the project will involve noisy construction activities during the overnight hours and during the day on weekends. The MBTA will make a presentation on the project to the Newton City Council on Monday, June 25th at 6pm in the Council chambers. All are invited to attend the presentation. Mayor Fuller has met with the MBTA and advocated for significant sound mitigation measures and continuous public outreach/communication on the project. She has also asked the T to conduct more of the noisiest work activities on the weekends or earlier in the evening hours. In response, the T added a communications consultant to their team to keep in close contact with neighbors and city officials. But, they say it is not possible to reduce or avoid the overnight construction periods. The MBTA’s project team believes there will be noisy overnight construction directly behind many Green Line neighboring homes for up to 5 to 7 nights during the project. If you are unable to attend the Monday presentation, the City will put a copy of it on the “City News” section of Newton City website homepage. Still have questions? Reach out to the Mayor’s Office Citizen Assistance Officer at 617-796-1102. Sponsored by the Friends of Houghton Garden and the Newton Conservators. For more information on this event and other invasive plant pulls soponsored by Newton Conservators, click here. Pitch in the clean up our neighborhood! Come join the Chestnut Hill Garden Club and other neighbors in keeping our public spaces beautiful. 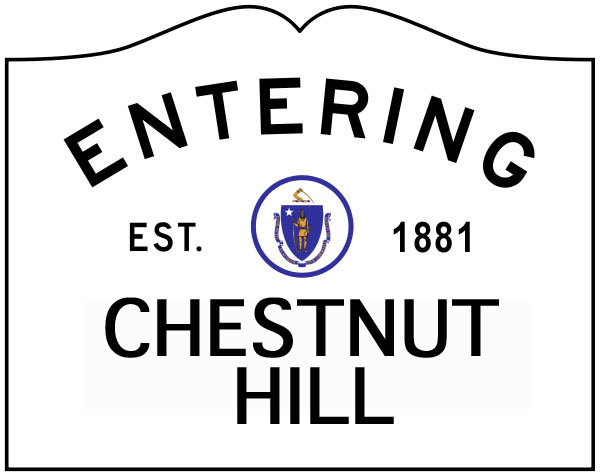 Clean up at the Chestnut Hill Post Office and T-stop on Saturday, May 19, from 9:00 to 11:00am. Click on the blue link, or on the image below for flyer details.